A last minute post for the VivaLasVegaStamps February challenge. Lucky there's an extra day this year, otherwise I wouldn't have made it :) Check the lovely inspiration board here. 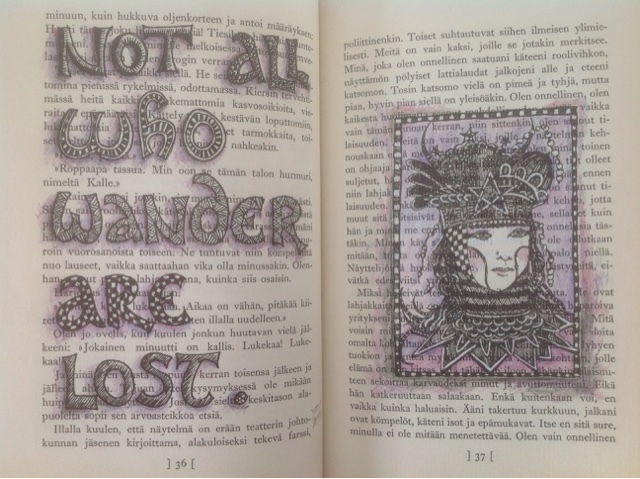 I worked in an altered book for quotes. The quote had been written ages ago, and the lovely portrait from Mary Vogel Lozniac seemed a good match. 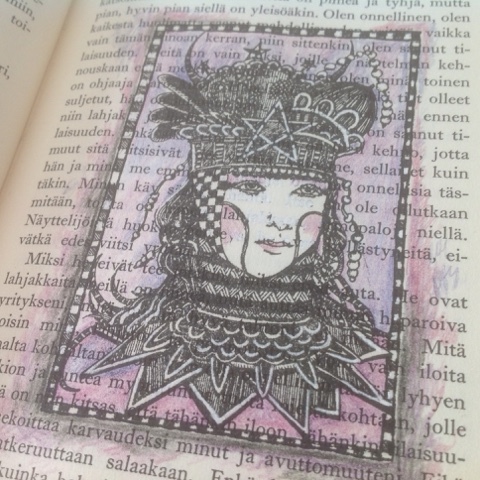 After stamping her, I used a white gel pen to block out the writing of the book and Micron pens to doodle patterns in the letters. I added some colour with colour pencils in shades of purple. Love it and the white pen looks great!! Fabulous ! Thanks for joining us over at VLVS!